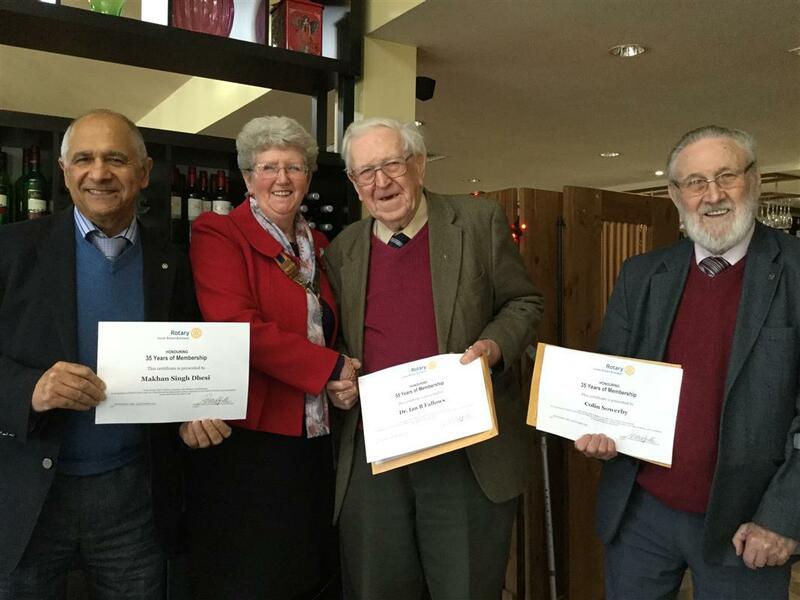 The President of Batley Rotary, Pat Taylor, presented long service certificates to three members. Much loved and revered Ian Fallows has just completed 55 years as a member of Rotary. Ian was Headmaster of Batley Grammar School before he retired. Pat also presented 35yr certificates to Makhan Dhesi, and Colin Sowerby. So a total of 125 years membership between all three of them!